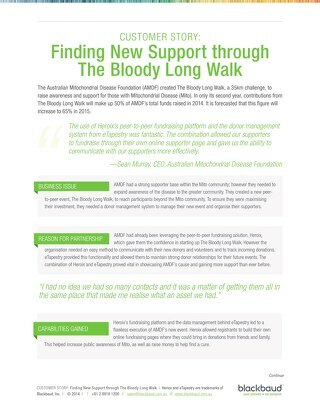 In 2015, RSL Care and Royal District Nursing Service (RDNS) came together to become Bolton Clarke. 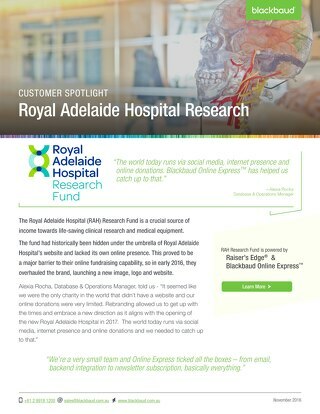 Read on to see how Raiser’s Edge NXT changed up their fundraising game. 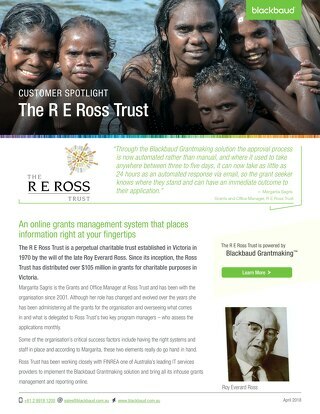 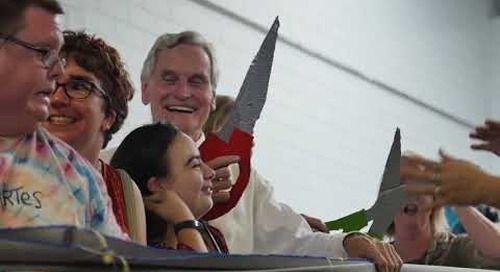 Aid to the Church in Need, Australia is a unique Catholic charity under the guidance of the Vatican. 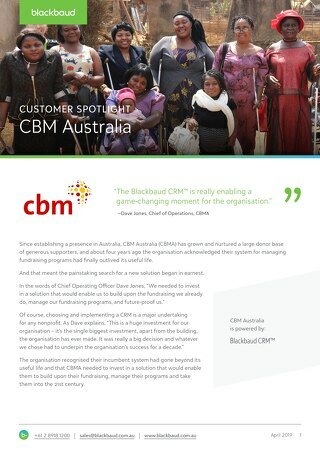  Read their story on how Blackbaud’s Online Express impacted their online fundraising campaigns. 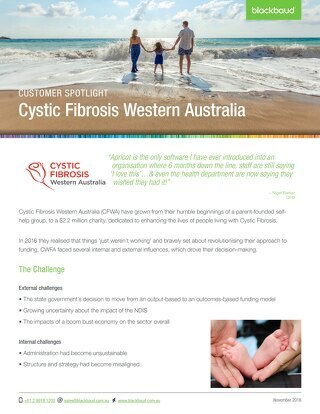 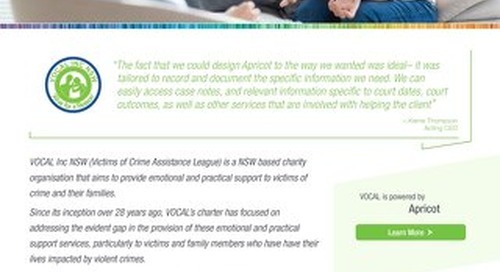 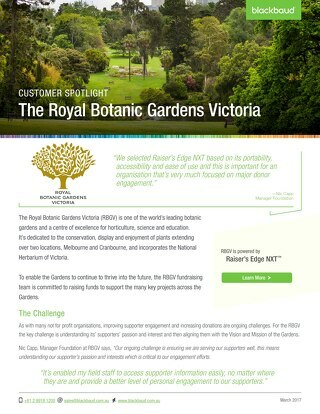 Nic Capp, Manager Foundation at The Royal Botanic Gardens Victoria outlines how Raiser’s Edge NXT has enabled staff to capture a 360 view of supporters no matter where they are. 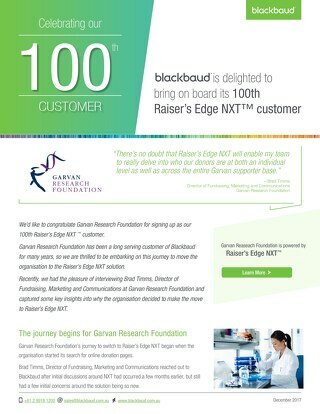 We’d like to congratulate Garvan Research Foundation for signing up as our 100th Raiser’s Edge NXT ™ customer. 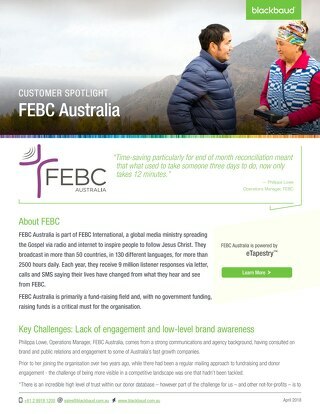 Click the link to see how and why they decided to make the NXT step. 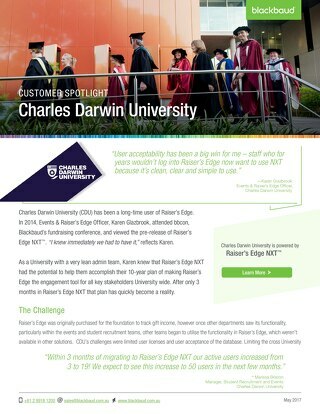 Charles Darwin University has been a long-time user of Raiser’s Edge but see what made them take the NXT step with their migration.